Take a Boston vacation and explore a rich Revolutionary heritage, the prestigious Harvard University and world-class art galleries. Book a Boston hotel to sample the city’s delicious seafood and the thrill of a Red Sox baseball game. The Puritan City has come a long way over the years, and there's no need to worry - modern Boston is always up for a party. From swinging jazz clubs, to sky high bars and artsy clubs, Boston’s nightlife crackles with energy, and has something to put a smile on everyone's face. Let little imaginations run free as you explore this family-friendly city's wealth of inspiring attractions and landmarks. With everything from electrifying museums, grisly history, and waddling penguins waiting to be explored, Boston is a delight for visitors of all ages. Whether you're hanging on an actor's hushed whispers as a theatre production comes to its climax, or being battered by the boom of an orchestra's wall of sound, your culture cravings will be satisfied in Boston. Dotted with world-leading universities, museums overflowing with ancient artifacts, and historic sites that led to the birth of modern America, it's rich with experiences you won't forget in a hurry. 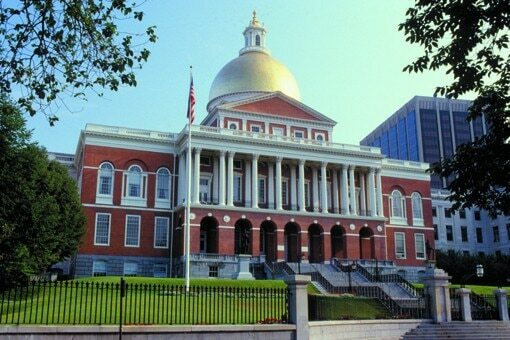 One of Boston’s biggest achievements is the way it’s maintained its historic status and its unique character over the centuries, and that heritage is on show throughout the city’s many shopping regions. Boutiques and galleries selling fine designs and handcrafted goods litter the avenues of the city, but increasingly they’ve been joined by internationally renowned brands and labels keen to cater to the residents and visitors to this prestigious seat of learning, culture and, style. Baseball games at Fenway Park, vigorous city walks and winter ice-skating are among the top 10 sport and activity things to do in Boston. Book a Boston hotel to enjoy the full Boston experience. Freshly-caught seafood, weekend brunching and authentic Italian cafes make food and drink in Boston a constant pleasure. Leave your Boston hotel with room in your belly to sample the treats in store. Wondering where to stay in Boston? From trendy Back Bay to harborview Boston hotels, choose the right spot with this neighborhood guide. As leaves turn crimson, gold and orange, a fall vacation in Boston can be breathtakingly picturesque. Halloween celebrations and Thanksgiving parades abound. And with students returning, the university town regains its vibe. Book an fall hotel in Boston to experience this New England city at its most colorful. Enjoy American Colonial and European art, Revolutionary War history tours and New England dining on a short getaway in Boston. Book a Boston hotel and make the most of your stay with this two-day itinerary. Balancing new and old perfectly, Boston is a city of sleek skyscrapers and antique charm. Whether you're visiting the historic sites where a revolutionary rebellion was sparked, or the country's first pub, Boston offers an insight into America's earliest years. Boston's also a great walking city – just wandering around on foot and taking in the sights is an activity in itself.